Rare pink diamond Martian Pink is expected to fetch at least $8 million when it goes under the hammer in Hong Kong. The Martian Pink diamond is about 12 carats in size. Pink diamonds as large as this are extremely rare. The gem was named by famed American jeweller Ronald Winston in 1976, the same year the US sent a satellite to Mars. The most famous pink diamond in the world belongs to Queen Elizabeth II. 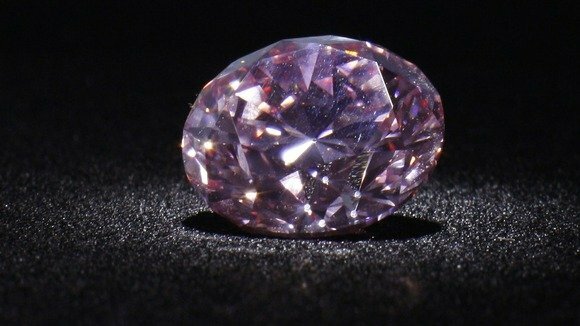 The Williamson Pink was given to Queen Elizabeth II for her wedding in 1947 – the cut, 23.6-carat round stone was later set in a brooch. The Martian Pink is estimated to be worth $8-12 million, says Christie’s auction house. It is the largest round fancy intense pink diamond to ever go under the hammer, says Christie’s. Memorial Day: Chris Hayes sparks outrage saying he feels uncomfortable branding fallen soldiers "heroes"